Forrest Christian works with highly successful experts to translate their expertise, ideas and thoughts into information products that normal people “get”. While educated in the social sciences and broadly read, he’s also had career experience in technical roles such as software developer, computer security professional and business process designer. Forrest honed communication skills in positions as trainer, consultant, technical writer, web designer, and project manager. 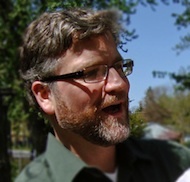 Project-oriented and multidisciplinary, Forrest has been recognized as an expert in technical domains and his writings have been translated into five languages. After finding and becoming fascinated with the writings of Wilfred Brown and Elliott Jaques in 2003, Forrest wrote hundreds of articles, now published on the Manasclerk Company’s website. In the process he became a recognized expert in making these complex ideas plain to divers audiences. He began supporting a senior requisite organization consultant, then several, and in 2005 provided video and writing support to the GO Society’s first international conference in Toronto. In 2006 and 2007, he served as writing consultant to the editors and contributors of Organization Design, Levels of Work and Human Capability from the GO Society, ghost writing with or rewriting several of the authors. In 2007-2008, he was briefly director of information services of TH3EL Pty Ltd., a Sydney-based startup created by Warren Kinston, a colleague of Dr. Jaques at Brunel University. When TH3EL became a victim of the financial collapse Forrest returned to his consulting practice, helping companies and individuals understand the particulars of their current reality and their own tacit knowledge. He has worked in or consulted to a variety of industries, including healthcare, occupational safety, state government, U.S. military, software design, IT security and senior business consultancies worldwide.